There is a twofold promotion for Guild Wars 2 running now, until December 3, 2013. In an effort called The Great MMO Migration, the online PC game will try to lure new recruits with its open policies. I, name, renounce adjective games and pledge my allegiance to Guild Wars 2. I likewise declare my freedom from adjective subscription fees! That I turn my back forever on noun which is/are totally adjective. That I will take up arms to defend the noun and crush evil with my noun. I take this oath to Guild Wars 2 freely, without noun because I am adjective. Before you get “creative” with the freely chosen words, know that contest rules state that profanity isn’t allowed. Moreover, the place for this clip must be populated and not be part of your residence or place of business. Publisher ArenaNet launched this promotion through a video, where they dressed up a cab to look like it came from the magical and fictitious land of Tyria. It’s painful to watch the awkwardness of cab drivers talking, in earnest, to their surprised guests, but it is funny. You won’t see a cab driver talk about teleportation anywhere else. Those who are unwilling to put themselves out there to record a video can also just partake in the game’s rare promotional sale. 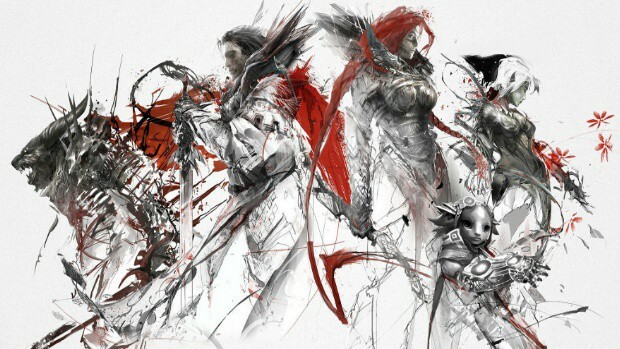 Currently, Guild Wars 2 is available at a 40% discount, for just €23.99. As an online multiplayer title, Guild Wars 2 ditches subscription models and instead offers a heavily updated game for anyone paying the income tax.